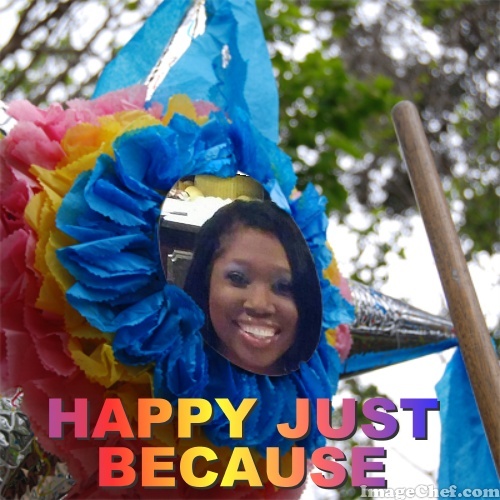 Are you HAPPY just because???? One of things that are critical to success is your emotional state. Do you allow situations take you off course?? Do you feel that everyone is talking about you?? Do you feel you are destined for failure?? I have noticed a TON of UNHAPPY People lately. I think the reason that they are unhappy is they feel like they are not in control. NEWSFLASH–We are NOT in Control of most things in our life. The reality is we must make the BEST of any situation that we are in daily. We must become HAPPY JUST BECAUSE. My challenge to you is follow my theory of Life be HAPPY JUST BECAUSE!! !